Posted this over at Camaros.net, then got to thinking this forum might be more appropriate. For sure there were two different ones, & I just want to see if there was a reason, or if it was totally random. Not sure why there would be two different ones. Type one is the push-in. It looks similar to the rubber snubbers mounted to the frame rails, but a little smaller to push in the slot on the floor over the pinion. Second one is a bolt-on. Round snubber mounted to a plate that bolts on to the floor with two fasteners. So, which do you have on your 69? Also, what axle, what engine/trans, and what ratio in the rear, and which plant? You might want to include 'build date' in that data, Lynn.. in case it changed during the year? Mine isn't bolted on, so it must be what you're calling the 'push in' type? Yes, Gary, that is the push in type. 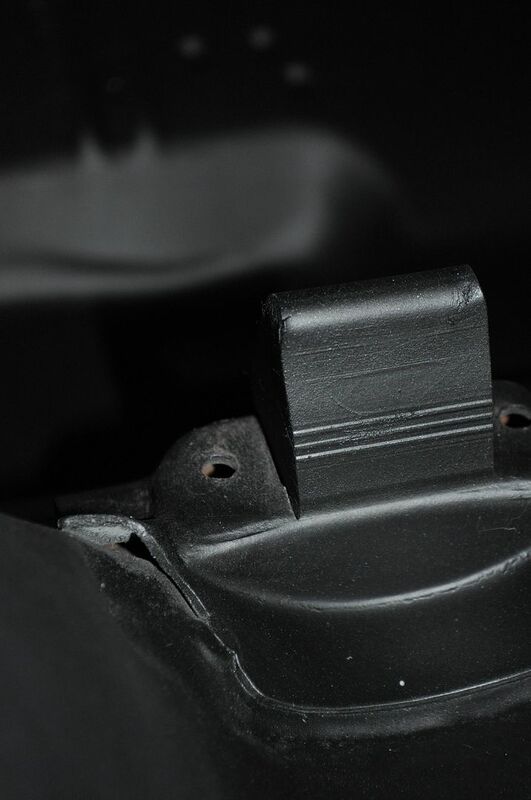 The rubber on the bolt in type is round and attached to a plate that bolts in to the two threaded holes on either side of the slot where yours pushes in. Seems to be more push in types used. You stated you did not know the rear ratio, however with your car, having an 08A build date, could only be 3.73 or numerically lower as 4.10 was no longer offered after June. Lynn, my 05A Z-28 has 4.10's and is a push in snubber.